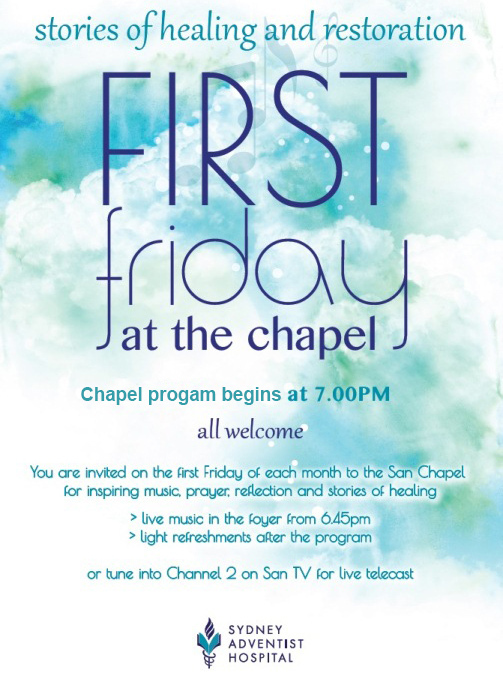 All are invited to the San Hospital Chapel for inspiring music, prayer, reflection and stories of healing. Live music in the foyer from 6:45pm. Light refreshments served after the program. Program starts at 7.00pm. Contact Dr Branimir Schubert, Branimir.Schubert@sah.org.au for info. The San has ample parking options. 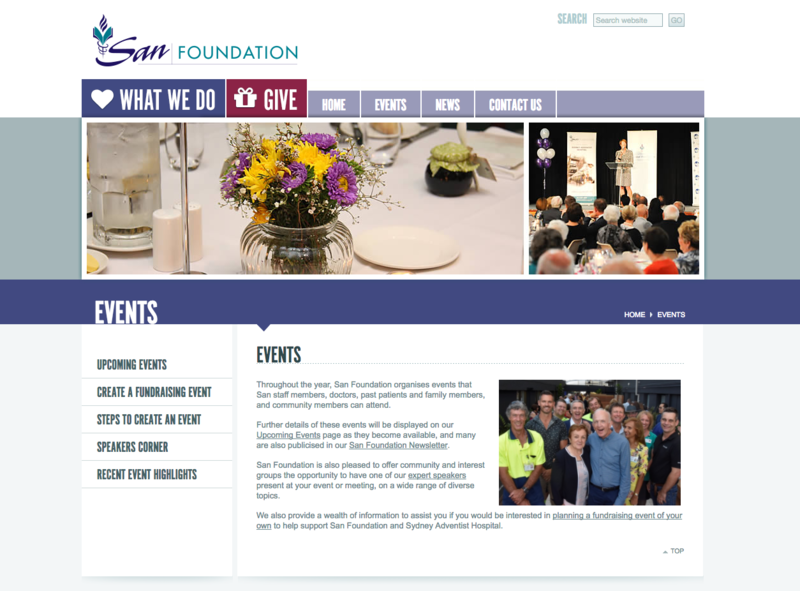 For further information, please visit their website at www.sah.org.au/how-to-find-us​ or contact them directly on 02 9487 9111. Thank you. The San Foundation is committed to supporting the Sydney Adventist Hospital in the provision of world class medical care to its patients. This is achieved by encouraging support from the community through donations, expertise and benefits that will assist in meeting the challenges of maintaining the Hospitals’ reputation as a centre of excellence.